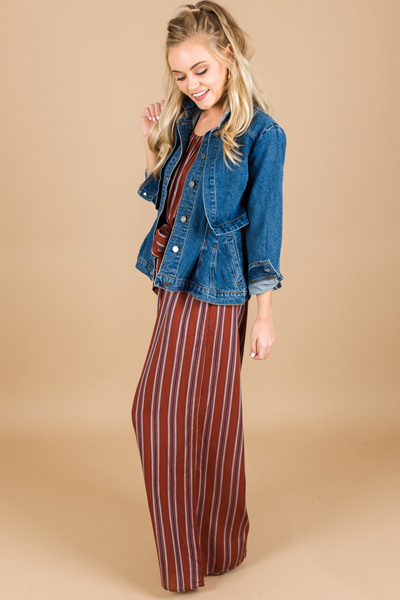 If you're like us, you see all the fashion bloggers photographed with a denim jakcet draped perfectly on their shoulders and want to copy that look. But guess what, the minute you move, the jacket falls off! 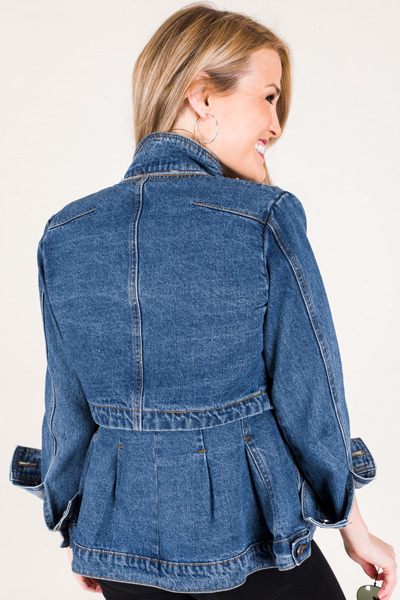 This denim jacket is expertly designed to solve that problem! It is deisgned to be worn as a cape look, but can also be worn traditionally, with your arms in the sleeves! GENIUS! As an added bonus, it has a nipped in waist with peplum fit, which creates a FABulous hour glass shape. Trust us, you need this. Fit is true to size. 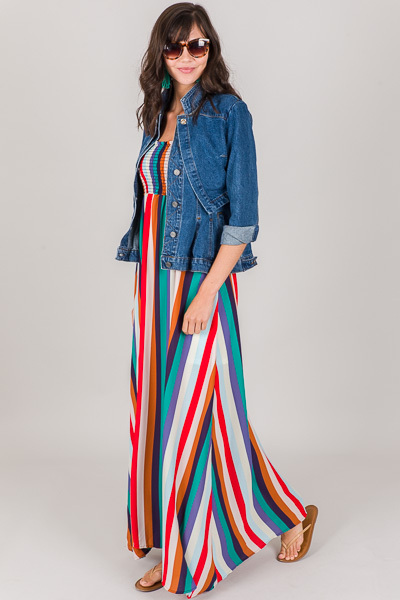 Models are wearing size small.